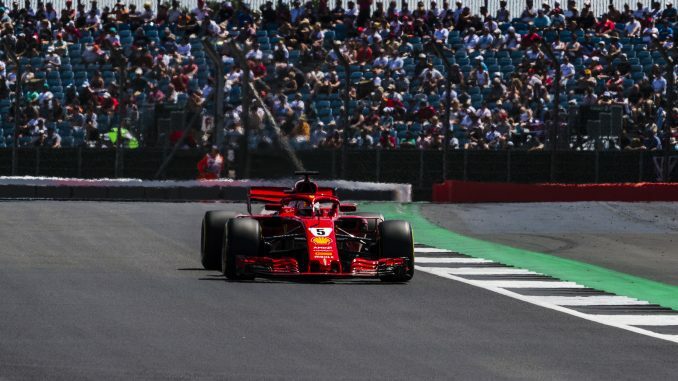 Sebastian Vettel has extended his lead at the top of the drivers’ standings with victory at the British Grand Prix this afternoon, with Lewis Hamilton and Kimi Raikkonen joining him on the podium at Silverstone. Hamilton made a poor start, allowing Vettel and Bottas to get past him before turn three. Raikkonen also looked for a way past the pole sitter, but the pair collided, dropping Hamilton to the back of the field. 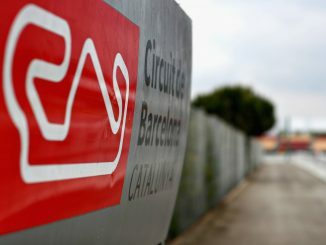 Hamilton began to pick his way back through the field, sitting sixth after the pitstops, while Raikkonen was handed a 10-second penalty for causing the collision. Brendon Hartley’s day never really got going, with the Toro Rosso driver having missed qualifying after a big crash in FP3 yesterday. The team opted to change power unit parts and start him from the pitlane, but he managed just one lap before returning to the pits. 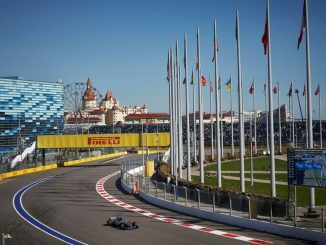 Both Williams drivers also started in the pitlane after making changes following a difficult qualifying, and Sergey Sirotkin narrowly avoided a collision before joining the action as Sergio Perez spun across the pit exit, almost collecting the Russian’s car. Daniel Ricciardo came in for a second pitstop shortly before Marcus Ericsson spun at high speed, bringing out the safety car. The Ferraris and Verstappen all came in for new tyres, but Mercedes left their drivers out, moving Bottas into the lead and putting Hamilton up to third. As the safety car came in, Romain Grosjean and Carlos Sainz battled for the minor positions, with the duo coming together and immediately bringing the safety car back out. The safety cars bunched the leaders up, meaning Vettel was looking for a way back past Bottas once the track was clear, while Raikkonen and Hamilton battled for the final spot on the podium. 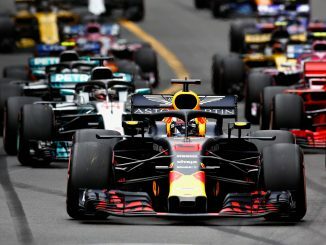 Verstappen was running fifth after the safety car came in, with Ricciardo just behind him, but spun while defending against his teammate before having to retire the car with a gearbox problem. Vettel continued to challenge Bottas, and the defending took the life out of the Finn’s tyres, allowing the Ferrari driver to retake the lead, with Hamilton and Raikkonen also finding a way past in the final laps, dropping Bottas to fourth, although the Mercedes driver managed to remain in front of Ricciardo. Nico Hulkenberg finished sixth after making the medium and hard tyres work on his Renault, while Pierre Gasly claimed the final points position with a late pass on Sergio Perez, although that move will be investigated by the stewards.